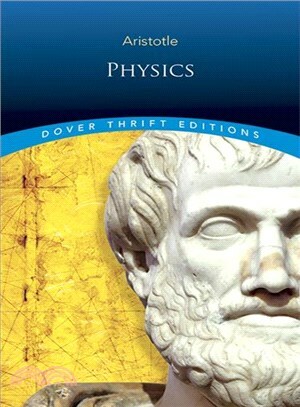 Written in the fourth century BCE by Greek philosopher and scientist Aristotle, Physics sets out to define the principles and causes of change, movement, or motion. For 2,000 years ? until discoveries by Galileo, Newton, and other scientists ? this treatise was the primary source for explanations of falling rocks, rising flames, the circulation of air, and other physical phenomena. It remains a foundational work of modern science and philosophy. Student of Plato and teacher of Alexander the Great, Aristotle (384–322 BCE) is a giant of Greek philosophy. He made significant contributions to a remarkable range of areas, including logic, metaphysics, mathematics, physics, biology, botany, ethics, politics, agriculture, medicine, dance, and theater. The founder of formal logic and a pioneer in zoology, Aristotle influenced every subsequent scientist and philosopher through his development of the scientific method.